​We are very excited to announce a partnership with Weaver Leather of Mt Hope, Ohio. Weavers commitment to quality products along with their personal and professional integrity and character make it the perfect fit for Richard Winters Horsemanship. The company enjoys a four decade relationship with the craftsmen and women of the Ohio Amish community. That craftsmanship and commitment to quality is born out in the products they make. After we toured the facility and met with that Weaver family, we knew this was a partnership that we wanted to forge and develop. Thank you Weaver Leather for allowing us to come on board. When Richard was ready to build a quality state of the art riding arena at his home in Reno, Nevada, he wanted to do it right the first time. WW Livestock Panels has been the perfect fit. "I've seen WW Livestock Panels at Horse Expos and Rodeos for years. I knew that when I was ready to build my own place, that WW would be the panel that I would want to use. I love the horseback gate latches”. WW builds it right the first time! The newest addition to our ranch in Reno, Nevada, is a brand-new " Pro Cutter " mechanical cow. This great machine is made in Texas and is used by some of the greatest Cutting and Cow Horse trainers in the country. The Pro Cutter helps our young horses learn the footwork and cadence of cutting and helps our older horses stay tuned up. We are honored to be partners with Pro Cutter and encourage you to check them out at www.pro-cutter.com. Silver Buckle Services specializes in professional equine marketing services for the equine industry. Whether you’re an equine business or organization hoping to improve your image and your bottom line, or an equestrian looking to promote themselves for sponsorships, we can tailor a equine marketing & advertising solution to fit your needs AND your budget. Silver Buckle Services offers affordable and innovative equine design solutions for print media & internet solutions, websites, and social networking. Fly Predators have helped keep flies to a minimum without pesticides for hundreds of thousands of customers over the past 35 years. They're the smart way to avoid “Fly Season”. Simply sprinkle them near all manure areas every four weeks during spring and summer. It just takes a few minutes and you’ve done your fly control for the month. In 1991, J.W. was hired by legendary hat maker, Kevin O’Farrell, owner of O'FarrellHat Company, on a hunch that J.W.’s artistic hand would lend itself naturally to the crafting of a cowboy hat. He was right! It was during his apprenticeship under Mr. O’Farrell that J.W. realized a sense of pride and accomplishment in producing pieces of wearable art that stemmed from his own western heritage. If you own a custom cowboy hat by J.W., you’re in good company. J.W. 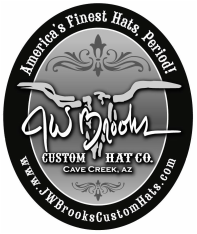 has been the custom hat maker of choice for many professional cowboys as well as actors and entertainers.